Canberra viewed from Mount Ainslie. Photo credit: Jason Tong, Creative Commons. 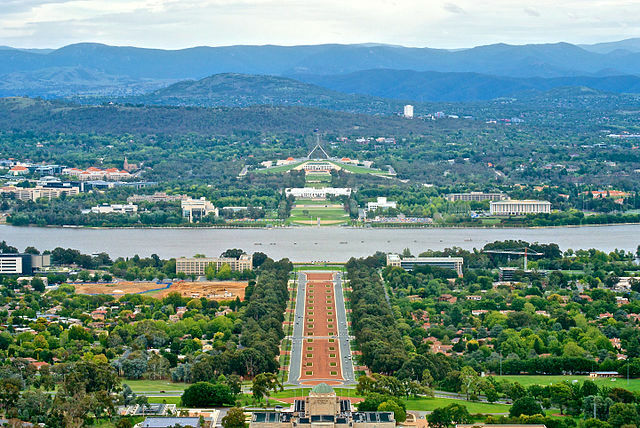 Canberra is Australia's capital city and is located in the northern end of Australian Capital Territory (ACT). 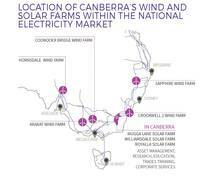 The city is home to approximately 380,000 inhabitants, In 2016, the ACT government set a target for Canberra to source 100% of the community's power supply from regional renewables by 2020, in order to set an example for transitioning the national grid to 100% renewable energy. 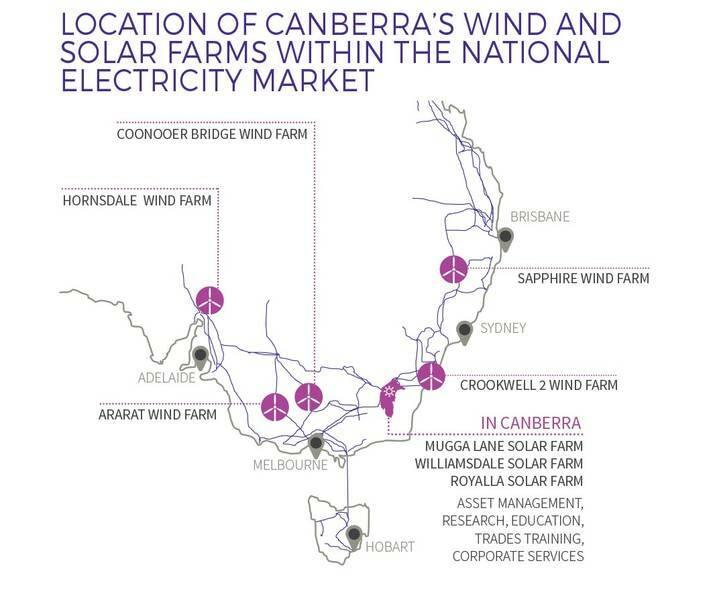 Canberra's transition to renewable power began in 2013 when the city funded 3 solar farms. Subsequently, reverse auctions were held in which the wining bids were offered 20 year contracts at fixed prices for electricity fed into the grid. In 2015, the ACT government committed to reaching 100% renewable power procurement by 2025, and in 2016 the date was pushed up to 2020. As of 2016, 640 MW of electricity from solar and wind generators had been contracted via reverse auction, with only one solar farm and one wind farm in operation by that point. 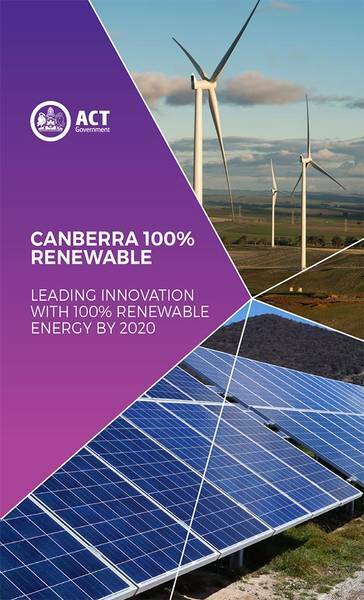 To support its renewable energy transition, ACT also aims to generate as much as 3% of rooftop solar power in Canberra and has also implemented its Next Generation Energy Storage Program to support installation of 36 MW of smart solar battery storage systems in more than 5,000 homes and small businesses. Canberra is also demonstrating other cutting edge technology that support high penetrations of renewables, such as zero-carbon hydrogen transport and hydrogen power storage. 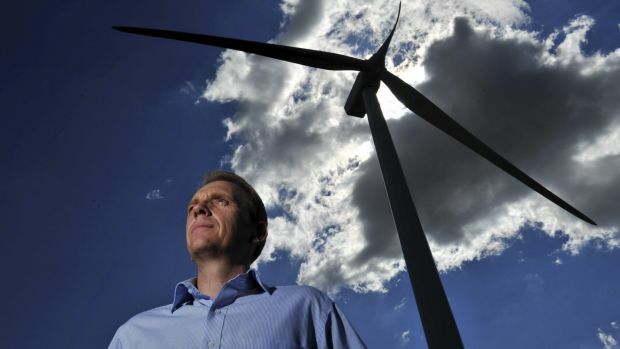 Underscoring the economic development potential of transitioning to renewables, four national and international wind companies have established their headquarters in Canberra, and ACT estimates that its renewable energy program is directly contributing over $500 million in economic benefits. The government also reported in 2016 that Canberra has been leading the nation in clean energy education and training through programs at CIT and ANU.